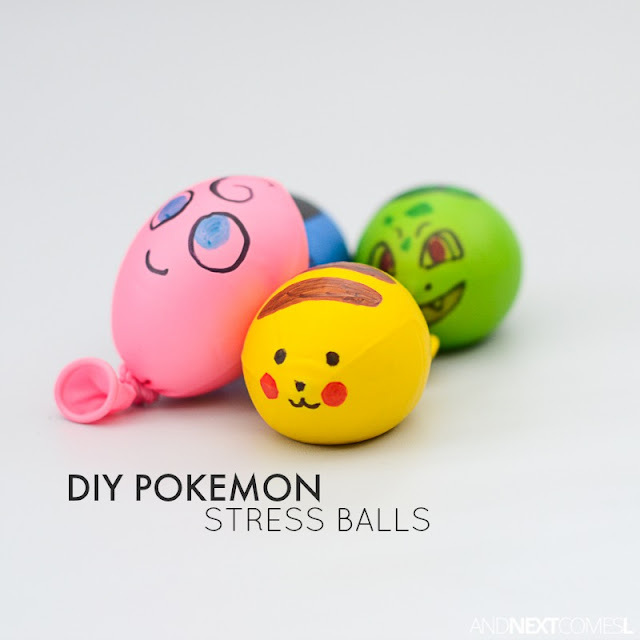 These DIY Pokemon stress balls have been a vision of mine for a long long time. Armed with excess balloons after my kids' birthdays back in September, I finally got around to trying out my idea. And, if I do say so myself, they are just as cute as I first imagined them to be! 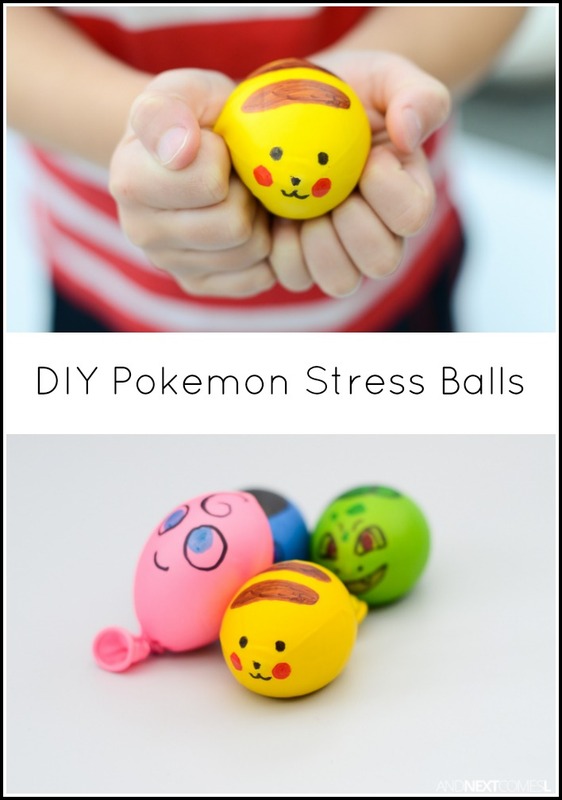 So if you have a Pokemon fan in your house, then they're going to love this simple Pokemon craft for kids. Something to fill the balloons with: rice, baking soda, epsom salt, aloe vera gel, flour, play dough, or anything else you'd like to try! Slip the end of the balloon onto the end of a funnel. Slowly pour in your material of choice until the balloon is full. Then tie the ballloon. Next, take your trusty old Sharpies and get drawing! 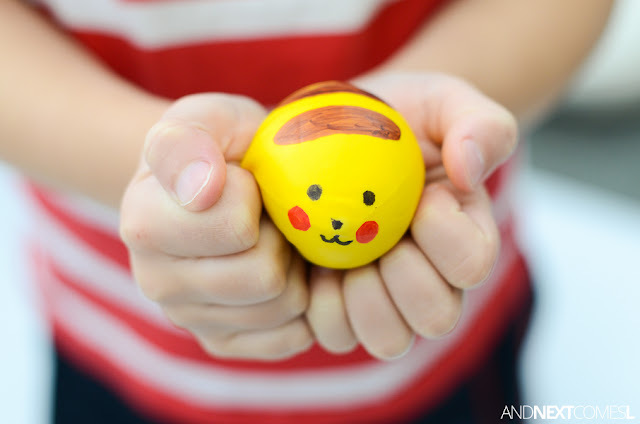 Making a Pikachu stress ball was a must considering he is J's favorite Pokemon character of all! 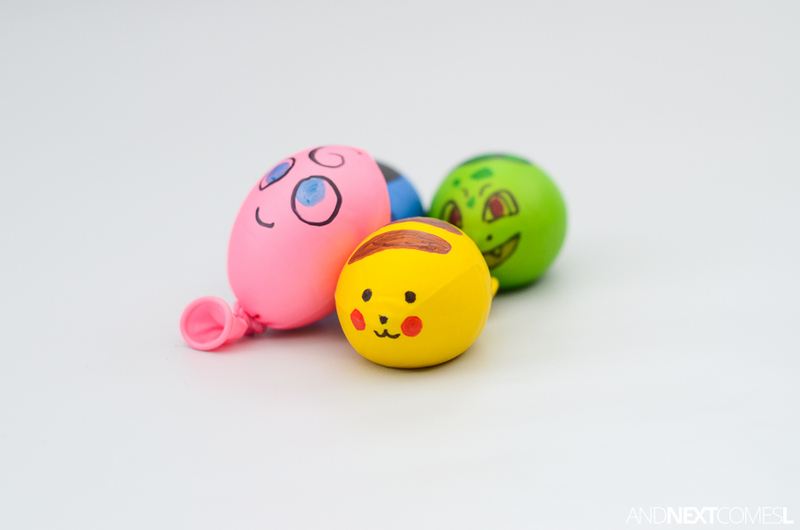 The other ones that I made where chosen simply based on what colored balloons I had on hand. 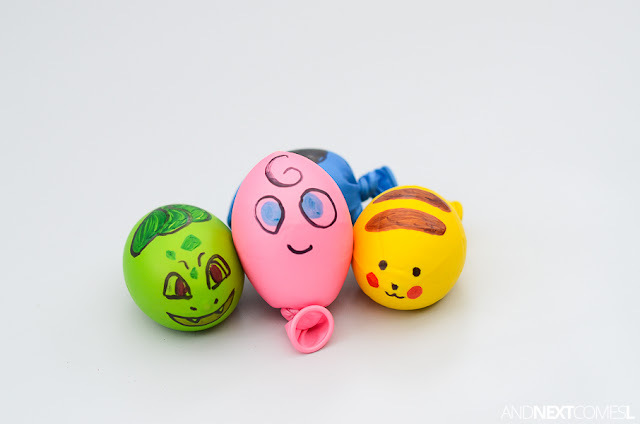 So we made four Pokemon stress balls altogether. There was Pikachu, Jigglypuff, Squirtle, and Bulbasaur. We filled ours with baking soda. Totally cute, right? Especially Pikachu! Like seriously, look at that little squishy face of his. 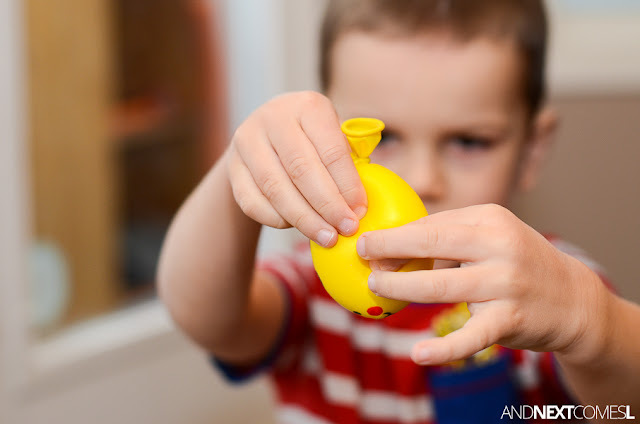 These DIY stress balls are perfect for squishing and squeezing as a hand fidget, like below, but they also make great homemade toys for promoting imaginative play. 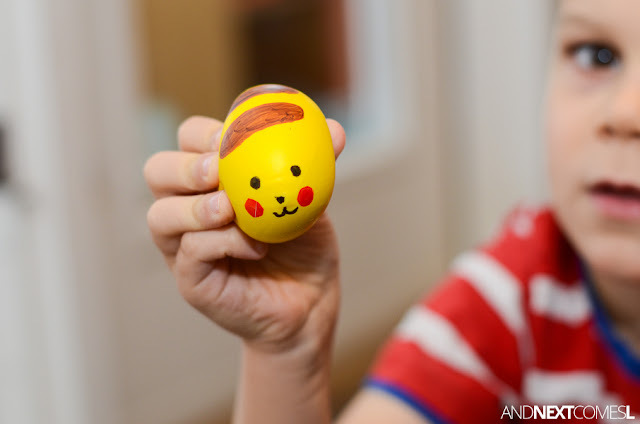 My boys especially loved making these stress balls their "buddy Pokemon" by placing them on their shoulder and walking around with them. Thank you much for these ideas.